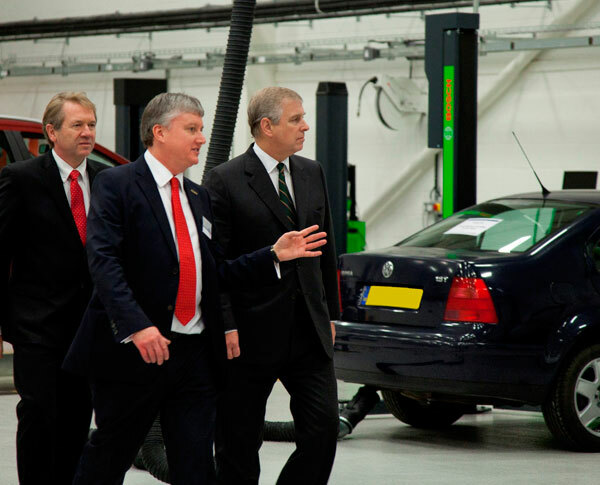 Bosch’s new multi-million pound training centre in Uxbridge has been officially opened by the Duke of York. The new Service Training Centre (STC) has been built to satisfy the huge demand for Bosch’s automotive training courses from the aftermarket industry. His Royal Highness visited the training centre as part of his continued focus on promoting and recognising businesses that support Apprenticeship programmes and the development of employability skills. Bosch’s previous training centre at its Denham site is oversubscribed, but the new, 2,000 square metre facility on Riverside Way will train 4,500 vehicle technicians every year in a mixture of classroom and workshop areas, quadrupling the capacity. Training courses can also be delivered via the internet thanks to the training centre’s webinar facilities. 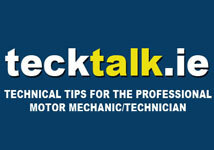 As vehicles are becoming ever more complex – with almost 100 computers on some of the latest luxury cars – it is vital that workshop technicians are equipped with the knowledge and tools to service them correctly. As well as providing technical skills, Bosch’s training courses are focused on customer service, so motorists who deal with Bosch-trained technicians are dealing with the most skilled and trusted people to look after their car. With the service and repair of today’s cars becoming increasingly complicated, the failure of garages to diagnose and fix faults has become a major concern for motorists. A recent special report by Auto Express revealed the issue to be the biggest single gripe in the magazine’s 2012 Driver Power satisfaction survey. Although the UK’s focus on the motor industry tends to be in vehicle manufacturing, the role played by companies like Bosch in providing essential parts, services and training to the aftermarket is equally important to the sector’s success. Robin Shaw, divisional director of Bosch Automotive Aftermarket said: “We are delighted to be opening this new facility in Uxbridge and are proud to be expanding both Bosch’s footprint in the local area and its training offering to the automotive aftermarket sector.” The STC is part of the company’s garage services offering, which includes equipment, software and helpline facilities, and forms a vital component of Bosch’s Automotive Aftermarket division. The new facilities will allow both independent garages, including the national Bosch Car Service network, and franchised garages access to the latest automotive technology training courses.